Have you ever wanted to throw your very own Hello Kitty/Sanrio Theme Party, but didn't know how to go about it? 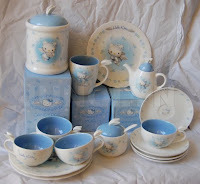 Well, here's a guide on how to throw one of the most memorable Hello Kitty Party Bashes for a large group of Sanrio lovers. And one way to go about it, is to plan everything from start to finish. 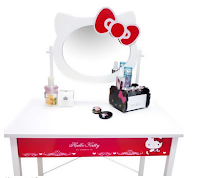 Plan out every last detail that you can think of because you are not just planning a simple party, you are throwing the best Hello Kitty party in your sanrio community! That, my addicts, is a #1 goal you need to justify to your sanrio enabler on why you're spending so much on party supplies and party services. Go all out for this party because it's not every day you can throw one this good! Remember do not invite any guests who have a strong dislike for Hello Kitty. It'd be a sure way of killing your party before it even has a chance to be a success. Some HK haters are just plain mood killers. You want all your guests to feel comfortable and happy at your HK theme party, so no party poopers invited. One idea to have your party be more exciting is to have your guests come dressed as a Sanrio Character. 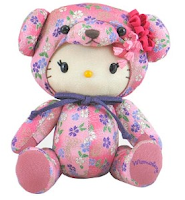 Have a Best Sanrio Character Dress Up Contest. Plan ahead with a special Sanrio prize. And, don't forget to take a whole group picture for those who did show up dressed as a sanrio character. It'll make a lovely addition to your photo album! First things first, buy or create your Hello Kitty/Sanrio theme party invitations. After knowing the total number of guests to be invited, send out your invitation by mail with a little touch of something special added to the invitation. 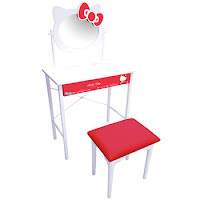 It can be a small charm, HK's red classic bow, or something related if it's centered around other than Hello Kitty. Make sure your invitations are eye catching. The invitation doesn't even have to be on paper... it can be handcrafted to make it even more special and a sure way to get a response right away. You really do not want to stress over a hot stove while the party is going on. To enjoy and get the full benefits as the hostess or host, you need to be where the party is at and not be in a closed area like the kitchen. Just make the catering service do all the work in creating Hello Kitty/Sanrio shaped food. 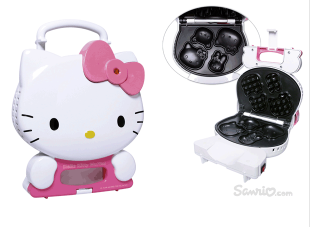 In order to keep your theme of the party going, example of foods that you *MUST* have at your party are HK/Sanrio character frosted cupcakes, Hello Kitty Waffle Maker Iron , and HK popsicles. 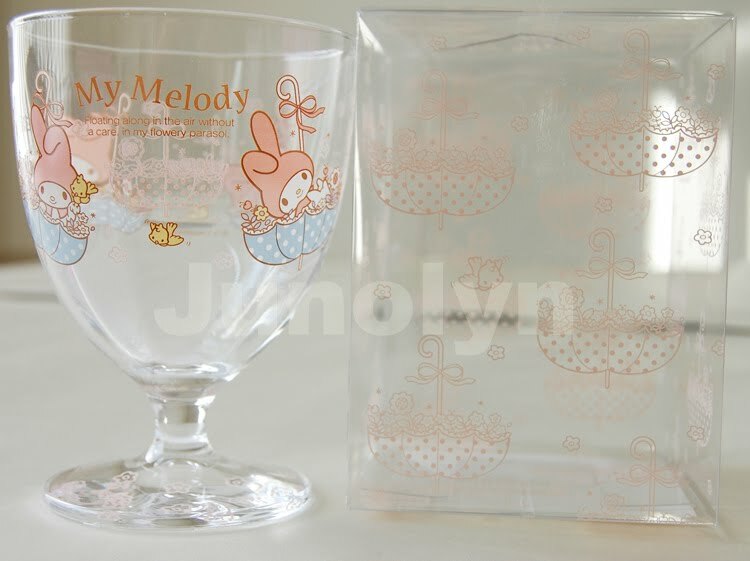 Also, have your catering servers make sanrio shaped character ice cubes well in advance to fill the guests' cup all through the party event. Since this is an adult party, have your servers serve cocktails or a non-alcohol virgin mary. 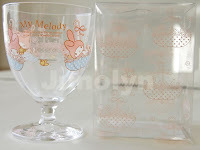 If you really want to go all out, I suggest you buy a lot of classy looking HK cocktail glasses. "Create a balloon bouquet centerpiece – Fill a small empty jar with rocks and wrap it in pink paper or foil. This is going to be the weight for your balloons. 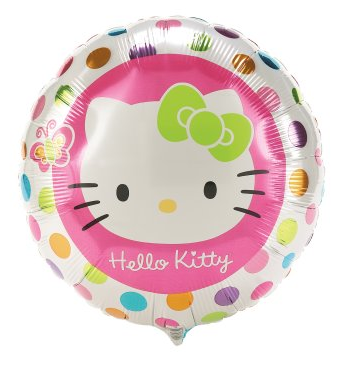 Inflate a Hello Kitty Mylar Balloon, tie pink ribbon around the bottom of the balloon and attach the string securely to the weight. Now inflate five to ten plain pink and white balloons and repeat the process. As you tie them to the weight, make sure they are lower in height than the Mylar balloon and arrange them so the Mylar balloon is always in the center." For table centerpieces, you can set up any kind of flowery arrangement with a Hello Kitty or a Sanrio Character centerpiece. A suggestion would be to use fresh pale pink roses (or white flowers of any type will do) arranged beautifully around the centerpiece. After you have finished decorating the party, I like to take pictures before the guests start to arrive. Take photos of your party room decor and put them in your HK Party Album, so you can treasure the memories. In the future, your sanrio enabler might not let you throw another HK/Sanrio themed party after he/she sees the total cost of how much you have spent to plan this extravaganza show. Remember, that's why you have to go all out on this one! 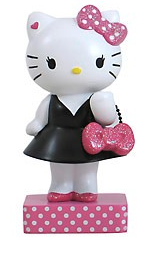 When you greet guests at the door, make sure you have some sort of table nearby to hand out Hello Kitty/Sanrio party bags with party favor gifts inside. 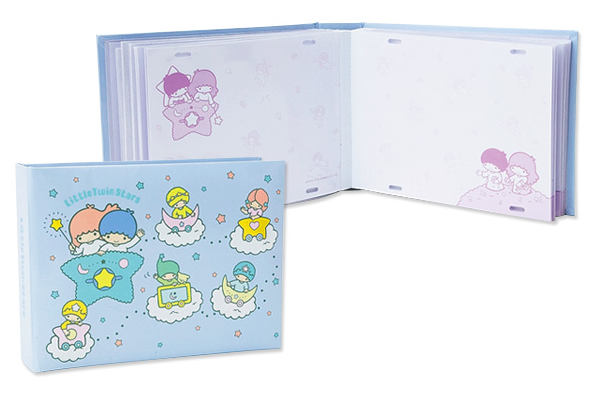 Before the guests joins the party, make sure to invite them to sign in your Sanrio Guestbook. This is one of those times that your small Sanrio book comes in handy! 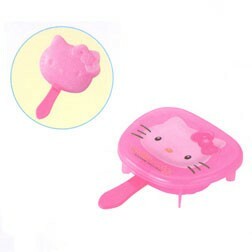 While the guests are waiting for the party to officially begin, have a friend or a server serve Hello Kitty (or other sanrio characters) shaped chocolates, HK wrapped candy(-ies), or Hello Kitty Lollipops (seen below). While the servers are busy serving special treats, another helper can entertain your guests with a Hello Kitty manicure. Get someone who can do great Hello Kitty decals on those nails. An excellent suggestion would be to use this kind of Cosmetic stand. 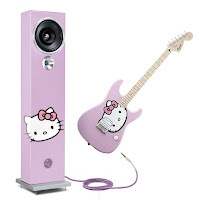 You can get one at Dream Kitty. An option for the many activities that you can do first is the drinking game. Now, this is where the shot glasses come in. Whatever drinking game you decide to play, make sure to time it so that the game ends before one of your guests becomes drunk. For ones who easily gets snookered with just one sip, suggest a substitute to fill in their shot glass. With that out of the way, no guest will leave your party in a dangerous state because the hours will dwindle away the buzz of alcohol. "Objective: What is it? Guess the mystery food or drink by using your Taste Buds! Rules: Before the game starts prepare the different kinds of food or drink that the players will try. You may use different kinds of ice cream or desserts, or some spicy food for fun. For an adult party, try different types of alcoholic beverages mixed with pop or juice. This can be a multiple choice game if players are having trouble guessing the mystery food. To play, blindfold the player and give them the food or drink to try. Have them guess what it is. Are they right? For a baby shower try using baby food. Take the labels off and pass the jars around. Have everyone make their guess on a piece of paper. The person with the most correct wins! " 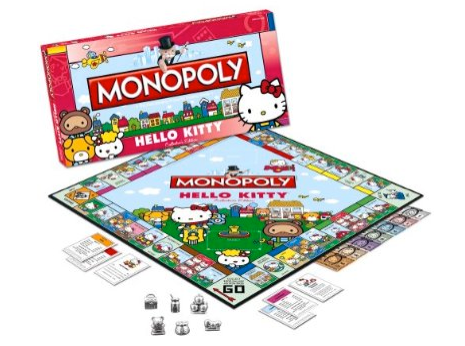 If you're looking for more of a challenging game, then how about Usaopoly Hello Kitty Monopoly ? Or if your guests don't feel like playing Monopoly, have card tables set up in advanced way before the party guests have arrived. 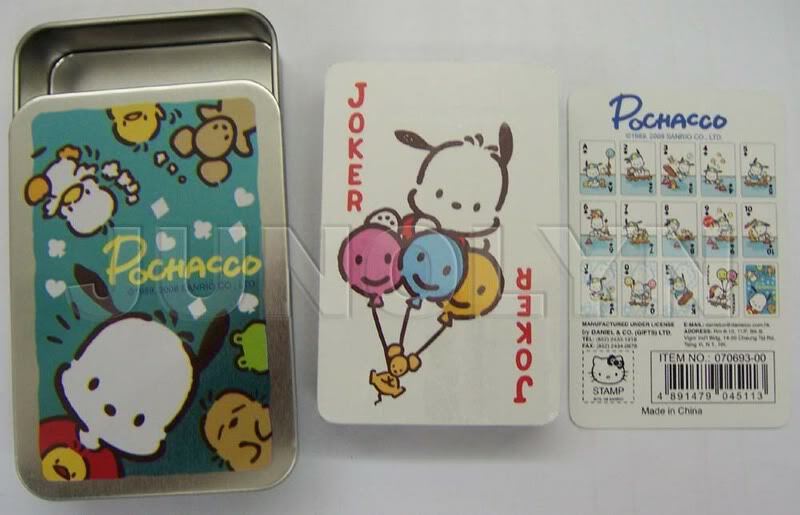 ^ You can play a Memory game with a deck of cards if you wish. The goal of the game is to match up a card with the same matching card, until there is no more cards to play. The most with the pair of cards wins. "Objective: A Memory Game of trying to remember your surroundings when blindfolded. Rules: Have the player have a good look around the party room and take in as many details as they can. Have them try to remember certain colors or where people are sitting or even what people are wearing. Then have that player leave the room and come back to the room blindfolded. Quiz the player about their surroundings and see what they remember. If they came with a partner, ask them questions about them or another specific individual. This could get interesting!" For a more physical activity, here's a Scavenger Hunt. Objective: A Scavenger Hunt is game where players find a hidden object. Rules: This is fun game to play at any age, but it does take a little organization and planning. It can also be played inside for weather reasons. Depending on the age of the players, choose how difficult the challenges will be. For this game, have the guests in an advance bring their own small 6" Sanrio plush with them. As hostess or host, you will gather these plushes and hide them away in one or more rooms. At the start of the game, let your guests know the boundaries of where all the plushes are located or any specific rules they need to know. When one guest finds a plush, they get to keep that specific one and take it home as a gift. You can add more bigger hints to the remaining few guests, who have a hard time finding the remaining plushes. Here are more games to try: Sanrio charades, Sanrio Trivia (make your own rules), sing-along-with Hello Kitty karaoke, or have Hello Kitty movies playing on the t.v. for those who are not interested in the board games. And lastly, have the best chosen Sanrio Character dressed Guest to do the honors of beating the sh*t out of this Hello Kitty pinata. Blindfolded, of course! 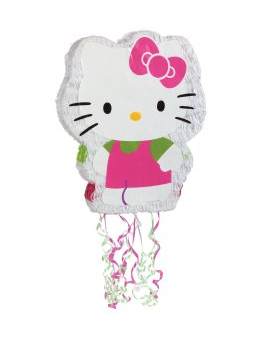 Birthday Express Hello Kitty 21" Pull-String Pinata - The pinata fillers are sold separately. If you follow everything listed and planned out all the very last minute details, then you should have thrown a fun, fun Hello Kitty Themed Party!